Kitchen and bathroom fitters, timber decking, conservatory installation and much more! 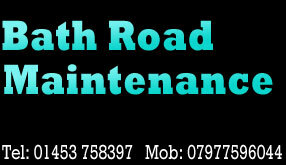 Founded in 1992, Bath Road Maintenance offers local Stroud and Gloucestershire residents the simple solution to all of their home improvement needs. Our team of tradesmen can transform any dull or dated room into a space that matches each individual's unique taste, lifestyle and budget. Kitchen and bathroom installations are our speciality and our customers use us time and time again, due to our personal service and high standard of workmanship. We can perform a full fitting service including the installation, plastering, tiling, decorating, electrics, and plumbing - saving you the time and stress of having to contact multiple companies. Whether you have your own supplier in mind or you would like us to provide you with a bespoke design, our expertise and guidance will ensure that you are 100% happy with the end result. Whether you require a traditional country or a modern style kitchen or bathroom our expert fitters can supply and install to your exact specifications. We also offer advice on complimentary tiles and accessories. 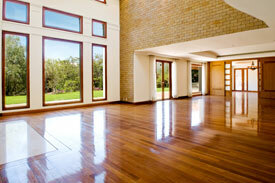 We can carry out home improvements on any room in your house as well as your garden. 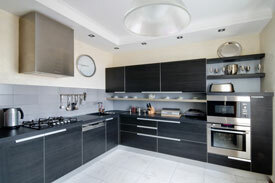 Perhaps you are looking to utilise the space better or you just want to give an area a general face-lift - we can help. Take a look at some of the impressive work that we have carried out for customers across Stroud, Gloucester, Cheltenham, Cirencester, Tetbury, Oxford and further afield.